Before sanctioning a loan, it is a common practice for the lender to check the credit score of the person applying for the loan. People with average or low credit scores are usually not sanctioned a loan. If you are facing such a problem and are in a dire needof a loan, there are some ways in which you can get a no credit check personal loan. However, before you apply for such a loan, you will need to thoroughly go through your credit report from one or all of the three credit reporting agencies, find a willing lender and arrange documented proof of your monthly income and other assets. Be sure to find the best lender. This may be hard but realise the fact that not all lenders are scrupulous. With enough patience and search, you will be able to find the correct lender. It would be good if the lender you choose is not third party because your personal information such as Social Security Number is not safe with such lenders. Make sure that the lender you choose does not resell personal information. - Since such loans are sanctioned without a credit check, it would be wise to understand the terms and conditions properly. The interest rate varies depending on the term for which the loan is being sanctioned. - Apply for the loan with more than one lender. The best way is to apply online by filling the relevant application forms that can be found at a lender’s official website. - When a loan you applied for is approved, the best way to collect your money is through direct deposit because it is the easiest and most secure way. In this type of a loan, you have to trade the ownership of something you own such as your car in order to get cash. This means that if you fail to payback your loan in time, the item you used will be confiscated by the lender automatically. - In order to apply for such a loan, you will need to provide personal information as well as information related to your car. You will need to provide documented proof of your car’s net worth, model, mileage and a number of other things. Fill in a few easy forms online to apply for a title loan. - Pay off the loan in time and you will be awarded back the ownership title of your vehicle. To help people out of financial difficulties, governments of several states offer secured government loans. Talk to an official to find out if such a loan if being offered in your state. 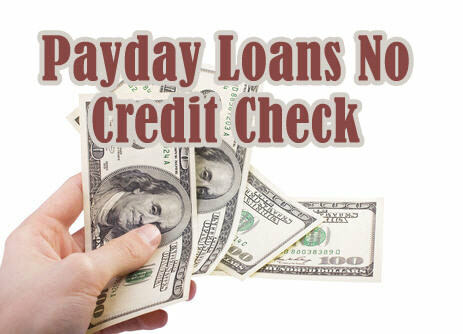 - Be sure that you will be able to pay off the loan you intend to apply for. It would be wise to come up with a proper plan of paying off entire amount of the loan in time.